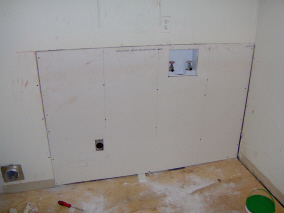 Not to worry, drywall can usually be repaired fairly easily, but not everyone can make it look right. Drywall repair and finishing is almost like an art, there are tricks and techniques that make all the difference in the finished product. 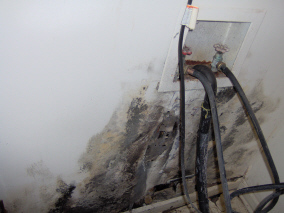 Our repairs are seamless - guaranteed! 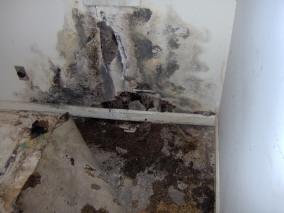 Whether you paint the repair, or we do, you will not notice the drywall has been repaired. We are a full service drywall contractor. From initial layout, to framing, hanging and finishing, we can do it all. Our focus is on quality - drywall that is hastily installed and finished will always look bad. You want your project to be something you are proud of and so do we. If you hire the wrong people to install and/or finish your drywall project you will be making excuses for them later. We would be glad to talk with you about any drywall repairs or installation you may need. Don't hesitate to Contact Us today!